In this episode, we get a glimpse at Alice and Robin’s very own “meet cute.” Robin points an arrow at Alice, who is spying on her father, Nook from afar. After Robin reveals the reasoning behind Nook’s new nickname, Alice playfully suggests that they call her “Nobin.” “Yea don’t call me that,” Robin says, clearly not a fan of her new nickname. In return, she calls Alice “Tower Girl,” and the two head off to find the troll that is destroying villages. Alice tries to defend the troll and explains that he is her friend, but Robin is determined to prove that she can live up to the legend of her father. The ship name for Alice and Robin is Mad Archer and I have to say that the name fits them perfectly, especially after watching them meet for the first time. Robin is ready to follow through and execute her plan, but Alice’s good nature and naivete intervenes. While Alice has pure intentions, her logic is not always spot on, but Robin ends up supporting her decision to protect the troll, even if it means standing up to everyone who gets in their way. And so their romance begins. 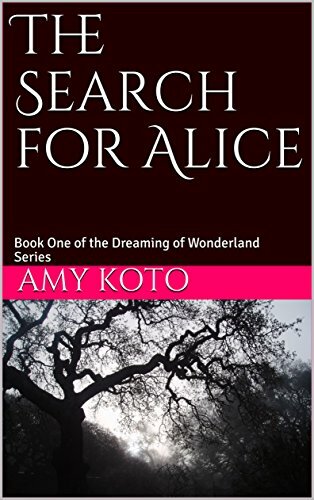 After Wish Rumple begins re-writing the history of fairy-tales, Tilly/Alice gets a pain within her and recognizes immediately that something has gone terribly wrong. She and Margot/Robin go to Tiana for help. Tiana’s words to her people are inspiring and a magic bean is turned over to help Tilly and Margot get to their friends to save the day. Only they need to make a quick stop in Storybrooke first to get some help from some friends. This moment is important because it reminds us how selfless these two characters are. They have finally remembered who they are and their love for one another, but they put all of that on hold to go and save their family and friends. Alice and Robin’s actions may go unnoticed, but they are heroes. After Tilly courageously joined Gothel’s coven to protect her father’s life, she is now under some type of trance, trapped by the magic she is channeling. Rogers/Nook tells her that he will come back for her and save her and is ready to finally take a leap of faith. Rogers and Rumple seek out the help of Margot, desperately hoping that she can get through to Tilly before it is too late. Margot tries to talk Tilly out of this spell, recognizing that perhaps she is just having a really bad day and “maybe we can turn it into a good one.” Tilly refuses, however; and flings her in the air, shrinking her enemies into almost non-existence, as she remains trapped by the magic consuming her. When the curse is ultimately broken, Margot and Tilly remember themselves as Robin and Alice…or “Tower Girl.” When the words, “I told you we’d always know each other” are spoken, you can’t help feeling an overwhelming sense of warmth and love for these two characters being reunited. They share a kiss and embrace that is beyond transcendent. Their love for one another is so pure and good, proving that real love can truly conquer all. Alice and Robin have an undeniable friendship and will do anything to protect the other. In an absolutely swoon-worthy moment, Robin asks Nook for his blessing to marry Alice and he happily agrees. Nook’s heart is severely weakened from the curse, but Robin reassures him, “no matter what you are walking Alice down that aisle!” While we don’t get to see the wedding for these two, I can only imagine how truly romantic it will be. I feel like they should travel the world and get married in front of a beautiful sunset, as they take on new adventures together. After all, these two beautiful and courageous women turn browsing a bookstore into an adventure. Either way, we know that they have earned their happily ever after, but their story is far from over. I hope you enjoyed the list and feel free to post some of your own favorite moments featuring Mad Archer from OUAT below in the comments section. Thanks so much for reading and happy viewing!